Mr. Roux has over 40 years of environmental consulting experience. 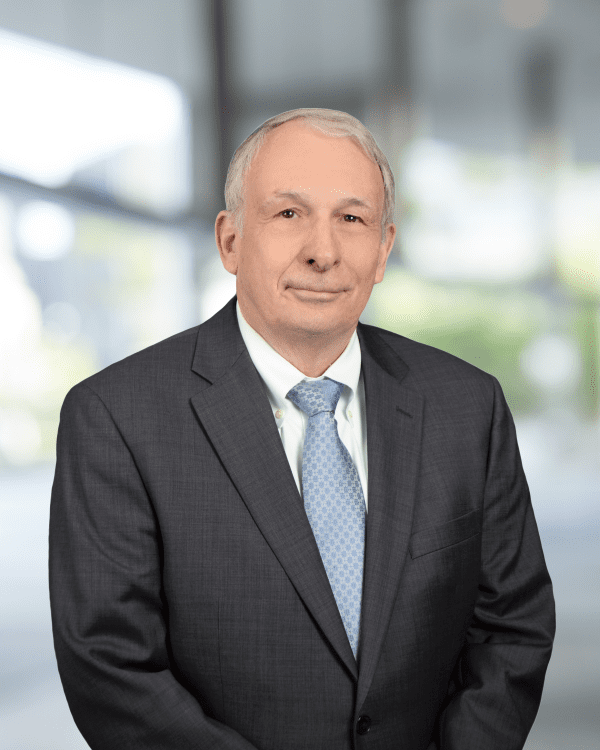 He has directed and participated in CERCLA and RCRA studies, environmental impact statements, water quality and contaminant mobility studies, groundwater assessments, technical support for legal counsel, expert witness, and regulatory agency negotiations. Mr. Roux founded Roux Associates in 1981 to investigate and remediate groundwater contamination problems. Today, the firm has over 300 professionals in offices across the country and provides a wide range of environmental consulting services including contaminated site remediation, economic and sustainability analyses, and litigation support. Mr. Roux holds an M.A. in Geology from Queens College, City University of New York and a B.S. in Engineering Science from Long Island University. He is a certified Professional Geologist in several states and a member of the National Groundwater Association, the American Institute of Professional Geologists, and the American Institute of Hydrology. He has served on the Executive Committee of the American Institute of Professional Geologists, the Groundwater Management Task Group and Superfund Task Group of the Chemical Manufacturers Association, the Editorial Board of Ground Water Monitoring and Remediation, and the Board of Registration at the American Institute of Hydrology. Mr. Roux also serves on the Board of Directors of the New York League of Conservation Voters Education Fund and Pure Earth. Principal-in-Charge of the Remedial Investigation/Feasibility Study for the Shore Realty Superfund Site in Glenwood Landing, New York. Evaluated the extent of volatile organic chemicals, metals and PCBs in soil, sediments, and groundwater. Demonstrated the technical impracticability of groundwater remediation to meet New York State Cleanup levels. Evaluated and pilot tested in situ cleanup methods, including soil vapor extraction, and negotiated a cost effective remedy with the NYSDEC and USEPA. Principal-in-Charge of the Remedial Investigation/Feasibility Study for the Delaware City PVC Plant Superfund Site in Delaware City, Delaware. Conducted an extensive groundwater investigation, including installation of numerous monitoring wells, an aquifer pumping test, and a geophysical evaluation of a confining clay layer. Evaluated various remedial options and determined that pump and treat would be an effective method at this site because of the nature of the impacted aquifer and the specific chemicals of concern. Designed a groundwater capture system that has effectively halted the migration of the plume and has cleaned up major portions of the aquifer to non-detect levels. Project Manager for the Remedial Investigation of the Industri-Plex 128 Superfund Site in Woburn, Massachusetts (ranked No. 5 on the National Priorities List). Conducted an extensive investigation of soil, sediment, surface water, and groundwater contamination. Contaminants of concern included arsenic, lead, chromium, and volatile organics. Made extensive use of geophysical techniques to map the extent of buried wastes. Evaluated groundwater flow patterns and groundwater/surface water interactions and the use of engineered wetlands as a groundwater remedial measure. Negotiated investigative and remedial activities with USEPA Region I. Made regular presentations to the local Citizens Advisory Committee. Principal-in-Charge of a groundwater investigation and remediation project at a former RCA Plant site in Taoyuan, Taiwan. Employed state-of-the-art investigation and in situ remedial methods for chlorinated solvents in groundwater. Responded to new and developing Taiwan EPA regulations regarding contaminated site remediation and made presentations to the Taiwan EPA and Taoyuan EPB (Environmental Protection Bureau) on behalf of an international client (former property owner). Managed the evaluation of groundwater conditions at over 100 industrial plant sites throughout the U.S. for various clients in response to RCRA monitoring requirements and various state environmental programs. Advised clients regarding sources and extent of contamination and appropriate remedial measures. Prepared technical reports and presentations and negotiated investigative and remediation programs with state and federal regulatory agencies. Expert for NL Industries and Crown Cork & Seal in a CERCLA cost recovery case regarding the LiPari landfill in Southern New Jersey. Opinions included the sources of various organic chemicals and metals in groundwater, surface water and sediments and the need for remediation of specific chemicals. United States v. Rohm and Haas Company. U.S. District Court for the District of New Jersey; 1998-2000; expert report, deposition and trial. (Archer & Greiner, Haddonfield, New Jersey). Expert for FMC Corporation in a cost recovery action involving groundwater contamination in Fresno, California. Opinions included groundwater flow and transport, sources of various contaminants (e.g. TCE and Cr+6) and appropriate remedial actions. FMC Corporation v. The Vendo Company, et al. United States District Court, Eastern District of California, Fresno Division; 2000-2001; expert report and expert rebuttal report. (Farella, Braun & Martel, San Francisco, California). Expert for Zeneca Inc. in a CERCLA cost recovery case regarding the consistency with the NCP of a property transfer of a former pesticide formulating plant where the current property owner was claiming to be an innocent landowner under CERCLA. Opinions involved state of the practice of environmental due diligence in the 1970s. The Prudential Insurance Company of America v. ICI Americas, Inc., et al. U.S. District Court for the Central District of California; 1993-1994; deposition and trial. (Ropes & Gray, Boston, Massachusetts). Expert for Zeneca Holdings, Inc. et al. in a Natural Resource Damage claim involving PCBs and DDT in ocean sediments. Provided opinions regarding the potential impact of a specific parcel of property on surface water and sediments. United States of America v. Montrose Chemical Corporation of California, et al. United States District Court, Central District of California; 1997-1998; expert report and affidavit. (Ropes & Gray, Boston, Massachusetts).